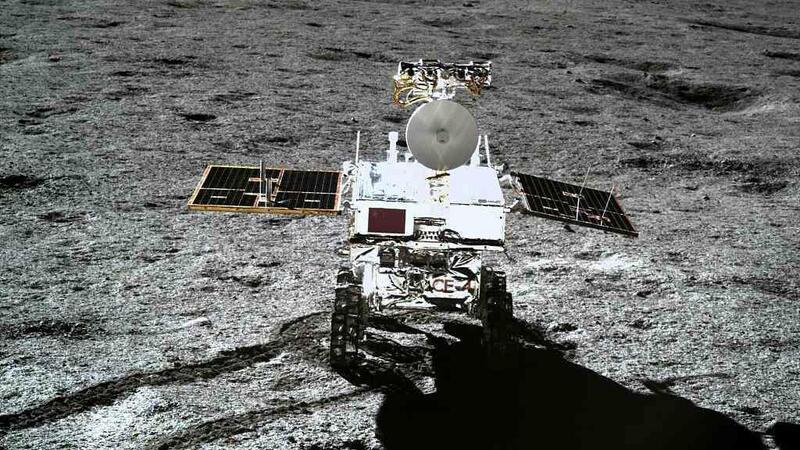 BEIJING, April 10 (CGTN) -- China's lunar rover Yutu-2 has traveled 170.92 meters on the far side of the Moon, according to the Lunar Exploration and Space Program Center of the China National Space Administration (CNSA) on Tuesday. The rover now continues its exploration work in the fourth lunar daytime after a noon break from April 2 to April 8 due to extremely high temperatures on the Moon. It has run a total of 163 meters during the previous three lunar daytime periods. During the third one, the rover conducted scientific examination over stones and tracks on the Moon. The maximum diameter of the examined rocks is about 20 centimeters, and the rover was about 1.2 meters away from the rock when the probe was carried out. The rover and the lander of the Chang'e-4 probe respectively awoke from the third "sleep" on March 29 and March 30 to carry forward the planned work during the fourth lunar daytime.